Watch all race videos from the final night of the Arena Pro Swim Series at Mesa, including Michael Phelps’ big win in the 100 free. 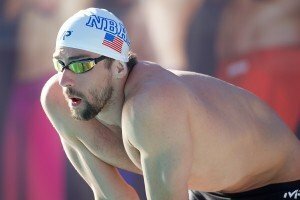 Michael Phelps returned to the blocks after almost an eight month hiatus from competition, following a DUI arrest, at the 2015 Arena Pro Swim Series Mesa this past weekend. Not quite a half hour after their 200 IM final, Hosszu and Coventry were back in the middle lanes for a 200 back final. Coming in at 2:10.67 was the Iron Lady Katinka Hosszu to take the top time of the morning, followed closely by SwimMac’s Cammile Adams (2:11.00) and future Cal Golden Bear Katie McLaughlin (2:12.30). 2015 NCAA Champion in this event, Kelsi Worrell, pushed strong underwaters to grab the 4th seed in the A final with a time of 2:13.75, with Cal grad Caitlin Leverenz right behind her in 2:14.38. Rounding out the top eight for tonight’s final are Stanford grad Maya Dirado (2:15.00), SwimSwam’s own Hannah Saiz of Shroeder YMCA (2:15.07), and 2012 Olympian Elizabeth Beisel (2:15.43). Seventeen-year-old Paige Maynard (2:16.20) just missed the A final, and will lead the B final tonight. Tyler Clary, last night’s 400 IM champion, edged seventeen-year old Grant Shoults by one hundredth for the top morning time of 2:01.42. Third from the Flemish Swimming Federation was Louis Croenen (2:01.88). The remaining five swimmers that will compete in the A final were separated by less than half of a second. 4th this morning was Alexandru Coci (2:02.17), followed by 18-year-old Jonathan Gomez (2:02.20) and seventeen-year-old Mark Jurek (2:02.36) of Arizona Gold. Andres Montoya touched with the 7th best time of the morning (2:02.40), while 2013 US National Champion Tom Luchsinger of NBAC rounded out the top 8 (2:02.53). Notably, Bobby Bollier and 2014 US National Champion Tom Shields missed the A final. They will both be in the B final, led by Zheng Wen Quah (2:02.63). It was Arianna Vanderpool-Wallace who rocketed to the wall with the top time going into finals, with her 24.72 putting her at 7th in world rankings this year. Grouped closely together in 2nd through 4th were an American trio of youngsters Abbey Weitzeil in 2nd (25.32), Simone Manuel in 4th (25.38), and veteran Natalie Coughlin sandwiched in between (25.34). Tucson Ford Aquatics Margo Geer touched with the 5th best time (25.59) followed by Amanda Weir (25.71) and Isabella Arcila (25.73). 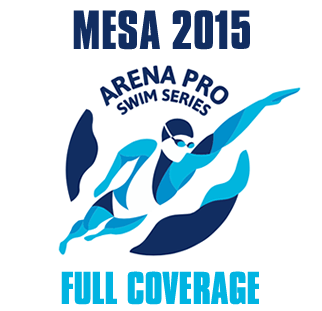 The last qualifer for the A final was Katie Meili of SwimMac (25.84). Just sneaking under the 26 second barrier were Lia Neal (25.84) and Kelsi Worrell (25.91, the latter of which just got out of the 200 fly. The NCAA duo will lead the B final tonight. Taking the top time in the men’s 50 was Flemish Swimming Federation’s Jasper Aerents (22.44). Josh Schneider of NYAC was 2nd (22.70) and Renzo Tjon A Joe‘s 22.81 was good for the third seed in tonight’s final. Cullen Jones was the last A final qualifier under 23, with a 22.94 to win the final prelims heat. 5th place was Marcus Schlesinger (23.06), followed by Badger Swim Club’s Derek Toomey (23.11) and Mazen El Kamash (23.15). Just one hundredth behind El Kamash was Erik Risolvato (23.16) to take the last spot in the A final. Leading the B final tonight will be Club Wolverine’s Zach Hayden (23.19). The Iron Lady strikes again, taking yet another top seed into finals with a 1:01.34 to edge Kirsty Coventry (1:01.44) who is on the comeback trail. Third was Carolina Colorado (1:02.27) followed closely by 2015 NCAA runner-up in the 100y back Courtney Bartholomew (1:02.39) and Grand Canyon’s Iryna Glavnyk (1:02.45). Kira Touissant (1:02.86), Dirado (1:02.96), and Tucson Ford Aquatics’ Bonnie Brandon (1:03.21) will make up the remainder of the A final tonight. 14-year-old Taylor Ruck just missed the A final, clocking a time of 1:03.33, which gives her the top time in the B final. Taking the top time this morning was David Plummer of NYAC with a 54.73, the only swimmer to crack 55 seconds in prelims. 2nd was Plummer’s teammate Arkady Vyatchanin in 55.01, followed by backstroke stalwart Matt Grevers (55.63) and SwimMac’s Ryan Lochte (55.67). Cal’s Jacob Pebley touched in 55.93, the last swimmer to get under 56 seconds. Eugene Godsoe grabbed a spot in the A final with a time of 56.34, while Luis Rojas (56.59) and Marcin Tarczynski (56.79) took the remaining spots in the championship heat tonight. 17-year-old Javier Acevedo will lead the B final tonight (57.01), with 2012 Olympic silver medalist Nick Thoman touching at 57.08 to qualify as second-fastest in the B final. SwimMac’s Micah Lawrence was fastest to the wall this morning with a 2:28.37, ahead of a red-hot Katie Meili (2:29.85), the latter of which torched the 100 breast field and put up a world top ten time yesterday. It’ll be interesting to see if the more sprint-oriented Meili can battle with Lawrence tonight. Not to be counted out is third seed Breeja Larson (2:30.74), while Katie Hoff, who is working to come back out of retirement, swam a very solid 2:31.10 for someone who doesn’t swim breaststroke all too often. Emma Schoettmer (2:31.67) and Haley Spencer (2:32.75) followed the top four, with a bit of a drop off between them and the last two A final qualifiers, Andee Cottrell (2:34.62) and Emily McClellan (2:35.75). Jamaican Olympian Alia Atkinson will have the top time in the B final tonight after her swim of 2:36.11 this morning. 100 breaststroke winner Carlos Claverie posted the top time this morning. The eighteen-year-old topped the field with a 2:16.67, followed by Carl Mickelson (2:17.81) in second. All bunched up behind them for the A final are BJ Johnson (2:18.06), Jorge Murillo Valdes (2:18.13), and Carlos Mahecha (2:18.27). Touching with the sixth best time of prelims was Grand Canyon’s Youssef El Kamash (2:18.93), followed closely by Uldis Tazans (2:18.98) and Sean Mahoney (2:19.02). Marko Blazevski will lead the B final with his time of 2:19.55. Katie Ledecky was untouchable once again, going out under 1:59 en route to a time of 4:02.67, EASILY owning the top time of the morning. That is the 2nd best time in the world this year; she also holds the top time of 4:00.47 from the Austin stop of the Arena Pro Swim Series. 13-year-old Madelyn Donohoe dropped a 4:19.74 in an early heat to lop nearly two seconds off her best, which ties her with Remedy Rule within the top 100 all-time in the U.S. 13-14 age group at 87th. Donohoe, once again, the thirteen-year-old, made the A final. Following (not too closely) behind Ledecky are NBAC’s Lotte Friis (4:11.87) and the Iron Lady Hosszu (4:14.36). Vien Nguyen put up a 4:15.25 to qualify fourth in the A final, with Allison Schmitt right behind her (4:15.72). 29-year-old Kristel Kobrich (4:15.98) and Elizabeth Beisel (4:18.52) make up the rest of this A final. Leading the B final will be Barrington Swim Club’s Kirsten Jacobsen (4:19.79). 3:55.75 from a cruuuuising Conor Dwyer was enough to hold the top seed before the final heat, though Michael McBroom (3:53.85) and Tyler Clary (3:55.58) snuck by him in heat 8 of 8. Michael Klueh was very close, as well, posting a 3:55.92, followed by Marcelo Acosta (3:56.46) and Dion Dreesens (3:57.71). NBAC’s Frank Dyer swam a 3:57.94 for the penultimate spot in the A final, while Lander Hendrickx of the Flemish Swimming Federation rounded out the top 8 (3:58.88). That’s looking like a big race between the likes of McBroom, Dwyer, Clary, and Klueh, though all eight of these competitors put down strong times this morning. Janardan Burns of Cal leads the way in the B final, with a 3:59.55 this morning, ahead of seventeen-year-old Nick Norman (3:59.63) and SwimMac’s Ryan Lochte (3:59.91). Michael Phelps looked smooth going out, but never picked up his speed and fell to 17th overall (4:02.67). He tied with Katie Ledecky. Let’s all think about that. Could someone tell me why so many people are swimming unattached? College swimmers have to be unattached the entire school year unless their university has a “college club” registered with USA Swimming. 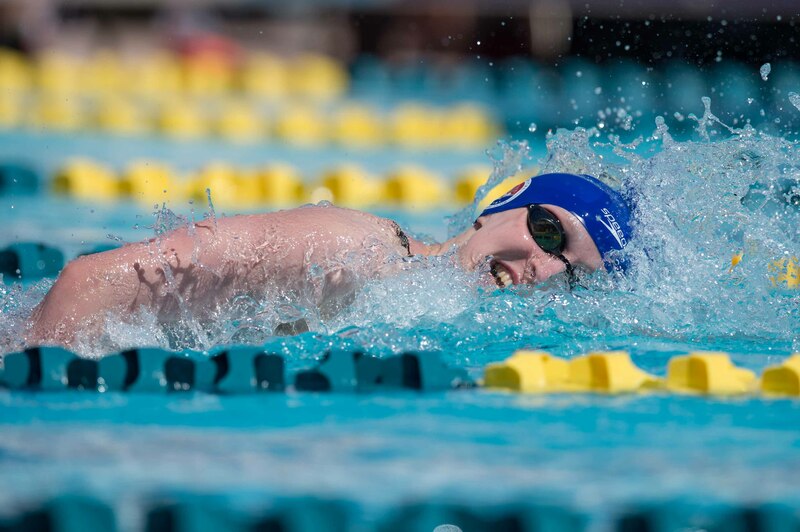 California HS swimmers are unattached because they are in high school season, and possibly other states that have high school season in the spring. Bummer about Shields missing the A final! Looked like he hit the wall pretty hard around the 175 mark. Oh well, hopefully he can regroup and attack it tonight. scary to think that he is the leading the us fly corps in this summer’s worlds. cant wait for people like conger and seliskar to displace the old guard in this event. This. And not to mention he is such an unreliable swimmer in the biggest competitions. 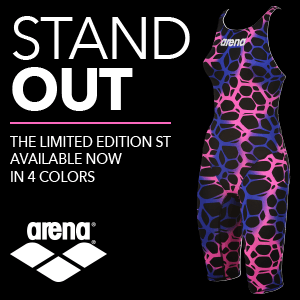 USA Swimming will regret this. They should have waited for this year. Speaking of unreliable. You’ve got two swimmers right there on your list. Come on. I wouldn’t really call Shields the “old guard” since he’s really only been on the long course scene for two years, but yes, I really look forward to Conger and Seliskar making the next step. That aside, normally Shields is on fire when it counts the most, so I’m hoping that this is just a symptom of heavy training. If he performs like this at Worlds…well, crap. Shields is on fire when it counts the most? LOL. Since when? He never won a medal in the long course in the World Championship or even in the Olympics. Tim i hope so too, but he already has been out of college for two seasons so he is among the veteran group not the youngsters. he did poorly at pan pacs which has been his only big LCM meet thus far. he did ok at SCM worlds this past december but the knock on him is that he is mostly a short course swimmer. it is totally up to him to prove the naysayers wrong ! Ah, I missed Pan Pacs. The only big meets I’ve seen him do were US Nats last summer and SCM Worlds, and he did quite well at those meets. Tim, no one cares about the short course. In the long course (Pan Pacs) last year once again he collapsed. Admit it, he is a short course swimmer. The end. Once again? What was the first time? Pol, did you ever think why? 2.) 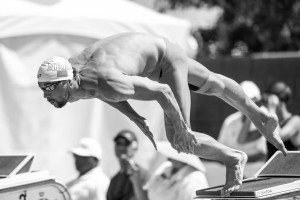 unlike the rest of the world, he had to compete the likes of Phelps, Lochte, McGill…he would have made the olympics and worlds teams for any other country. And in Kazan will probably his last chance. Too bad the US = already in trouble. i agree because i think conger and seliskar will be 154 by next summer. maybe he will have a break though too, who knows. i think that shields is much better at 100 and he usually closes well, but in the 200 fly every time i have seen him he completely falls apart at the 175 mark. Hey POL , stop playing the troll here , would ya ?